From September, iPlayer users will need a TV Licence to use the service, as the so-called iPlayer loophole is closed. 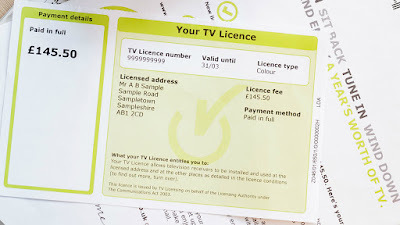 For years, an increasing number of people have ditched conventional TV and stopped paying the TV Licence in favour of watching catch-up TV, which until now has been exempt from the need to have a TV Licence. Starting 1 September 2016, a long anticipated change in the law means you will need to be covered by a TV Licence to download or watch BBC programmes on demand, including catch up TV, on BBC iPlayer. This applies to any device and provider you use. There will be just two exceptions – watching the partly-BBC funded S4C TV on demand and listening to BBC radio. There may be other exceptions in the future. The current rules applying to conventional linear broadcasts and live online streams still apply. Those who already have a TV Licence aren't affected by the changes, neither are those who don't use the iPlayer. Students who take their laptop or tablet to University and watch BBC iPlayer programmes including new BBC Three Online programmes on their devices will need to be covered by a TV Licence when the new Autumn term starts. It's currently still unclear how these changes will be policed and whether the BBC will actually implement any kind of block stopping non-licence fee payers from accessing the service in the future. The iPlayer loophole has been blamed for causing a shortfall in BBC finances, with lower than expected licence fee revenues resulting in the loss of several major sports rights, including F1 and The Open golf as the BBC has tightened its belt. Further cuts in coming years, coupled with taking on the cost of free TV licences for over 75s means the closure of the iPlayer loophole isn't going to undo recent cuts anytime soon. The TV Licence currently costs £145.50 a year. It has been frozen at that price for six years.